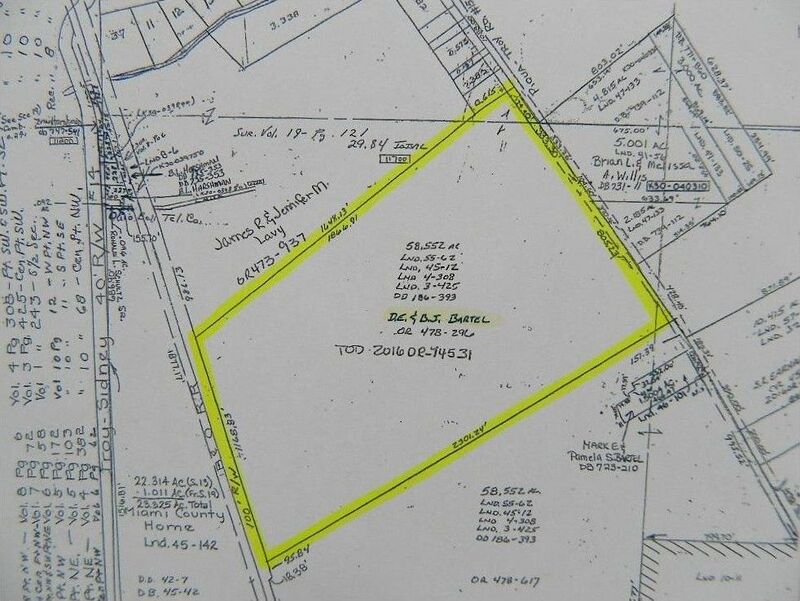 58.552 acres of prime farmland with development potential on the edge of Troy's northern boundary. Unencumbered with buildings. Close to utility connections. An opportunity to be a part of Troy's future. Sale is subject to tenant farmers 2017 crop rights. Directions: North on Market St. to West on Piqua Troy Rd. / St. Rt. 36 South to Troy Sidney to East on Piqua Troy Rd.